My Henry and SAA 44/40s and my Orginal 1860 Army Type I Colt Conversion 44 Colt. My .45 Open Tops and soon to be .44-40 Henry. YO!,,Tuo,,,like the short barreled OT,,i have a army model w/ short barrel,,in 38 spl. (naw,,swaped barrels w/ a feller on here ,,he wanted a 7,,i wanted a 5,,even steven,,both happy ) My rig ,,cross draw ,,left to right,,,. smoke'm if y'a got'm ,,,Hootmix. Here's two of my all time favorite rifles. My 1860 Henry in 44-40 made by Henry Repeating Arms. And my 1874 Sharps Hartford in 45-70, made by C. Sharps Arms. Both fun shooters! You, sir, are obviously a man of of refined taste and good breeding! You, sir, are obviously a man of refined taste and good breeding! 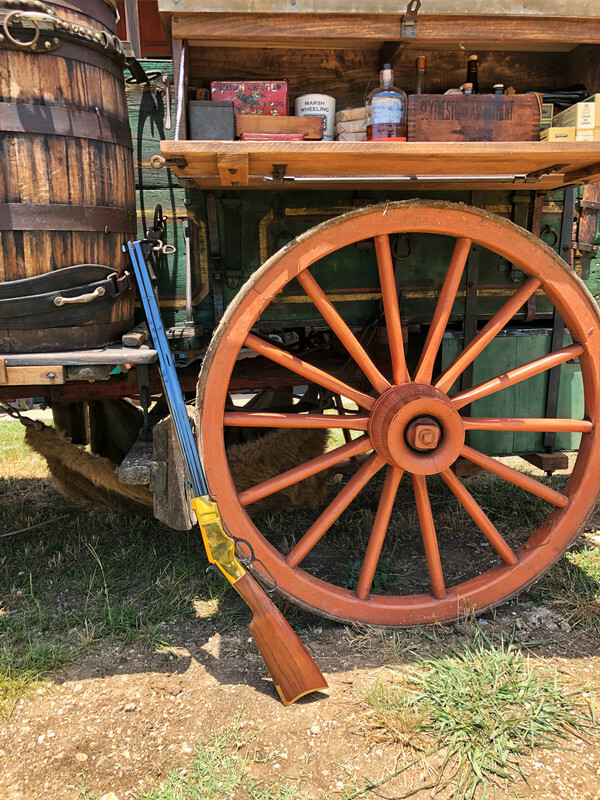 We use the ole 1860 Henry for defending the chuckwagon against bandits and comancheros! 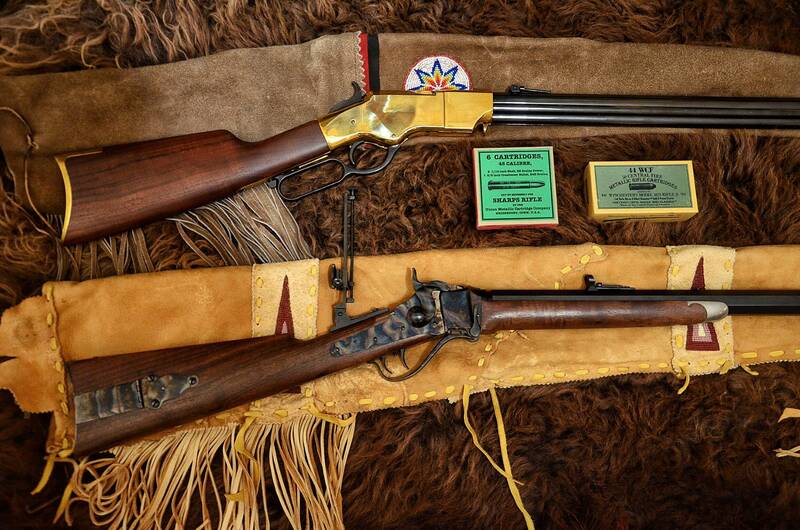 Ha, need to update: My 1976 Navy Army (pre-Uberti, US made) 1860 Henry with Colt and Remington cartridge conversions. No polish on this one and in fact I like the mustard looking patina better.